How To Coach Your Son Like You REALLY Love Him! Here’s a great story of a $100 Million dollar pitcher having success at the AAA level, and get this… He’s doing it with a 79 MPH fastball. 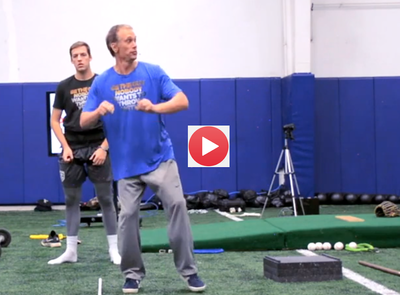 If you’re a low velocity pitcher stuck in the mud and unable to pick up any speed, or you’re a guy who struggles with inconsistent velocity… You’re going to love this! It also applies to all you ‘obsessive velo’ guys who worry yourself sick about velocity and see nothing wrong with sniping the unsuspecting, on-deck hitter with the good ole’ #1. You want to know what’s really bad for hitters and good for pitchers? The reason so many hitters struggle is because they swing at strikes, yeah strikes…but here’s what they should be doing! Why Hitters Are Struggling And It Has Nothing To Do With The Swing! Do you know the secret to hitting? Why Bruce Lee Understood Hitting Better Than 99% Of Us! Do you want to know why my son will never receive one single instruction? It’s not because I’m an idiot when it comes to hitting, no. In fact, what you’re about to see inside this video, is the same development plan I will use to teach him how to throw the baseball (pitching will come later). Youth Hitting Drills: Teach Your Son To Hit The Sh** Out of The Ball! Today’s post is a tribute to Todd Helton. After watching the video, leave a comment and let’s get the discussion started. What should the hitter’s hands be doing? Should they remain still? Should they contain rhythm and/or movement? Watch this short video and learn some of the common mistakes most hitters make with the hands. How do you know how far you should stride? Is there a way to measure? What happens if you stride too far? Too short? This lesson answers those questions and more, check it out. Hitting Lessons: How Far Should A Hitter Stride?